According to a recent study, only 8% of Americans are on-track to retire. So, we ask, is it still possible to inspire your employees to save for retirement? We believe, yes, it is possible! 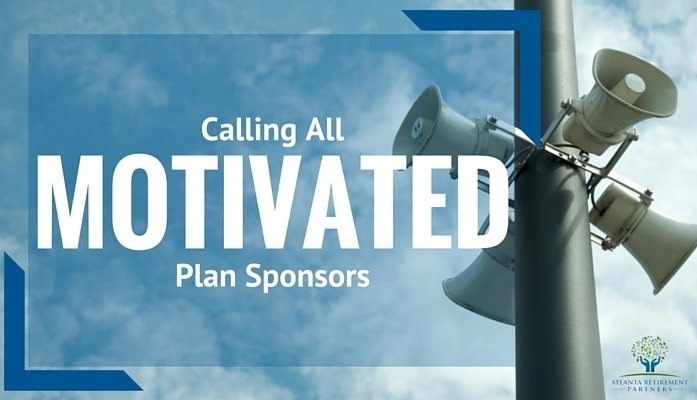 Retirement readiness is a journey, and it starts with engaged plan sponsors, professional retirement plan advisors, and the desire to help your employees reach towards their retirement goals! No matter what the age or income of your employees, it’s not too late. As a business owner, if retirement plan risk and employee unpreparedness keeps you up at night sometimes, the help of a professional retirement plan advisor can help you understand your plan management responsibilities and instill confidence. 83% of plan sponsors rank the importance of retirement readiness of active participants as “very important” and “quite important”. 92% of American workers have favorable impressions of their 401(k) plan. Companies that adopt an Auto-enrollment (Opt-Out) program experience retirement plan enrollment rates as high as 91%, whereas with Voluntary Enrollment (Opt-In) average enrollment hovers around 42%. This plan feature increases the percentage of savings each year for enrolled employees. 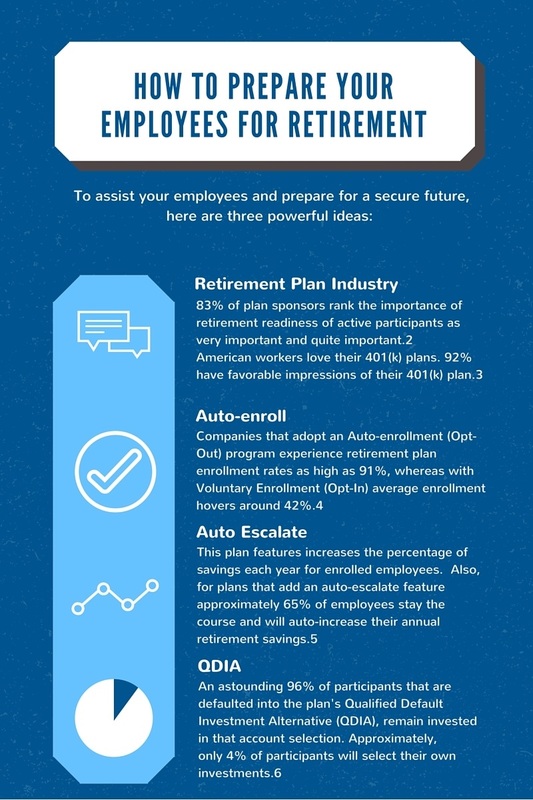 Also, for plans that add an auto-escalate feature, approximately 65% of employees stay the course and will auto-increase their annual retirement savings. An astounding 96% of participants that are defaulted into the plan’s Qualified Default Investment Alternative (QDIA), remain invested in that account selection. Approximately, only 4% of participants will select their own investments. One of the primary reasons that plan sponsors should work with professional retirement plan advisors is to help prepare your workforce for the future. At Atlanta Retirement Partners, we will take the time to discuss this with you, and help your employees reach towards a prepared retirement. We thank you for reading! If you have any questions or would like more information, we look forward to speaking with you today! Securities and Advisory Services Offered Through LPL Financial, A Registered Investment Adviser. Member FINRA / SIPC. Rhee, Nari, PhD. "The Retirement Savings Crisis (2013): Is It Worse Than We Think?" National Institute on Retirement Security. June 2013. “Americans’ Views on Defined Contribution Plan Saving.” Investment Company Institute. January 2014.